A gorgeous mix of pinks and whites. 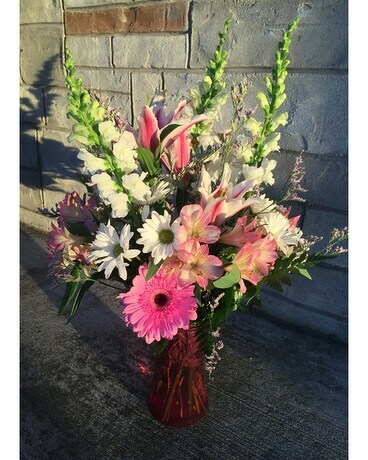 Including flowers such as gerbera daisies, stargazer lilies, daisies, snapdragons and more. Comes designed in a Valentine's day colored glass vase.